We believe every one messed up with the cables/wires around their work place. Someone like you has invented this interesting cable holder to handle bunch of cables and making it like long hair. You may try this interesting method to show the place attractive and artistic instead of appearing congested place. Insert a Nail above a head shape art on wall and hang all the wires on the nail, it will give long hair appearance to the face. 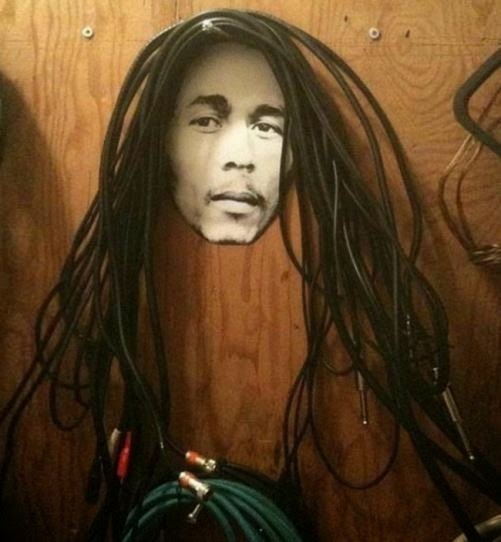 interesting cable holder to handle bunch of cables and making it like long hair. You may try this interesting method to show the place attractive and artistic instead of appearing congested place. How to release knot from gold chains..?